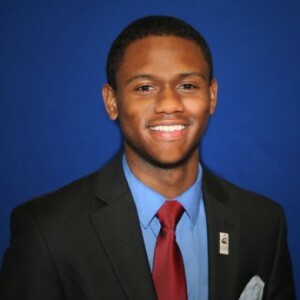 Treadwell Singfield, MBA Class of 2018, is spending his summer interning on the product operations team at Google developing a beta testing program playbook. Here’s his take on his first month on the job. I have always wanted to be impactful and excellent. In earliest stages of my internship, I did my best to focus on a flawless output. But perfect isn’t realistic or efficient, and in my experiences, developing that perfect level of work isn’t actually excellent. If that’s the case, then what is excellence? Merriam-Webster would define excellence as the “quality of being outstanding or extremely good,” but what does “outstanding” or “extremely good” entail? I’ve spent a lot of time contemplating that this summer. During the aforementioned early stages of my internship, I thought of excellence as an individual contribution, a measure of the quality one person’s output, but there are several dimensions to excellence. There is no perfect definition; there are both solo and team aspects to being excellent. They define what they want to achieve in great detail. They leverage the brainpower of those around them. They adapt quickly to change. They can operate in ambiguity. When I began my internship at Google, I put my head down and started working and meeting with people. I strayed away from the first component of excellence that I listed earlier: I didn’t define what I wanted to accomplish. Fortunately, Google makes you form those definitions. But as they say, the devil is in the details. The definitions are useful, but being able to define what success looks like in a measurable way is important for success during the summer. In any professional environment, showing the impact that you make is critical. The difficult thing about driving impact in a new environment is that you often have a rather steep learning curve. The best way to understand more about a company and the problems its facing is to speak to people who are close to the work being done and to leverage their insight. Research is crucial to being able to navigate your way, but proceed with caution. There are two ways people share information: oversharing and undersharing. People rarely give you exactly what you need. In the case of undersharing, you need to make sure you ask the right questions and, if needed, find additional people to speak with. In my case, I experienced a lot of oversharing. Oversharing is typically a sign that people may be interested or passionate about how your work relates to theirs. Excellent people hone in on the information needed to provide structure to the problem. Once the problem has been defined, you need to execute quickly. One reason for working fast is to get work done, but the other reason is to mitigate the risk of failure. If your solution doesn’t work, you will need time to adjust, iterate, and relaunch. This applies in any environment, primarily dynamic environments that are prone to change. Excellent people navigate change well by planning and embracing change. It is important to understand the purpose of the change more so than the change itself. If an environment is changing, that means something isn’t working and you need to know what that is. The final quality I’ve observed in excellent people is that they operate well in ambiguous and uncertain environments. They do this by providing structure to the issue at hand. There is no perfect science for operating in the unknown, but they make sure to know what needs to be done, why it needs to be done, who needs to do it, and how it will get done. Striving for excellence is important, and Simon has prepared me for excellence by placing me in those scenarios. I look forward to returning to the startup environment in the future to pursue more of a marketing and analytics role. Regardless of how my journey or interests have changed, Simon has helped me to attain my goals and to continually pursue excellence. I’ll leave you with a final question: How do you define excellence? If you’re interested in learning more about the Simon MBA program, attend our MBA information session webinar at 12 p.m. EDT on Wednesday, Aug. 9. MBA Summer Internship Reflections: Mars, Inc.